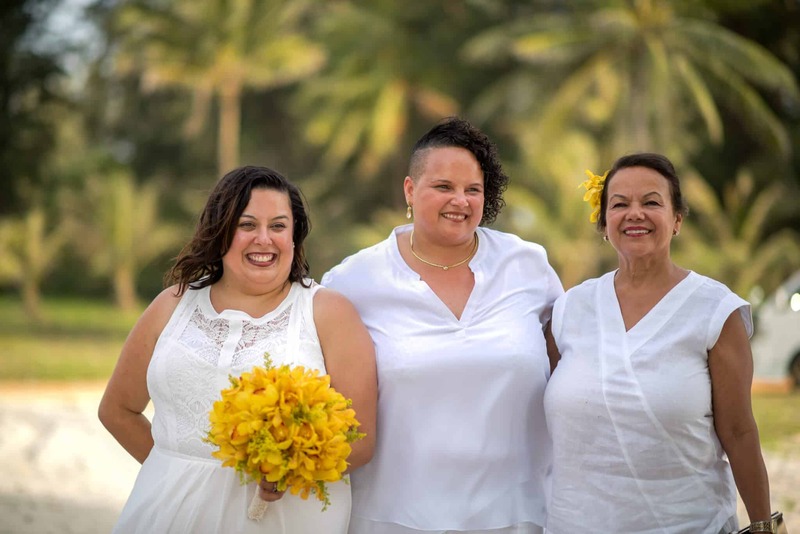 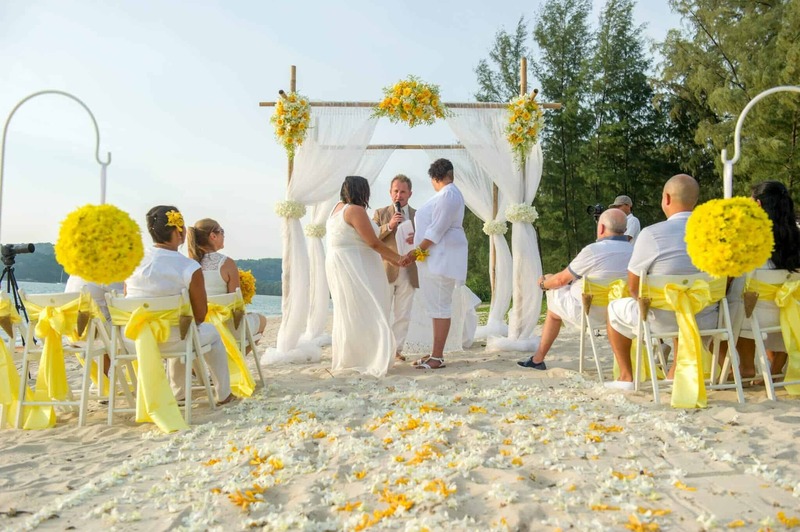 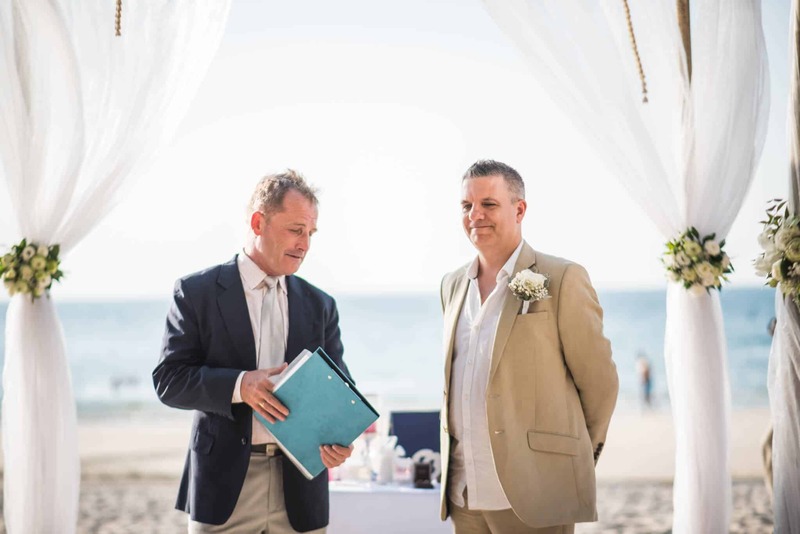 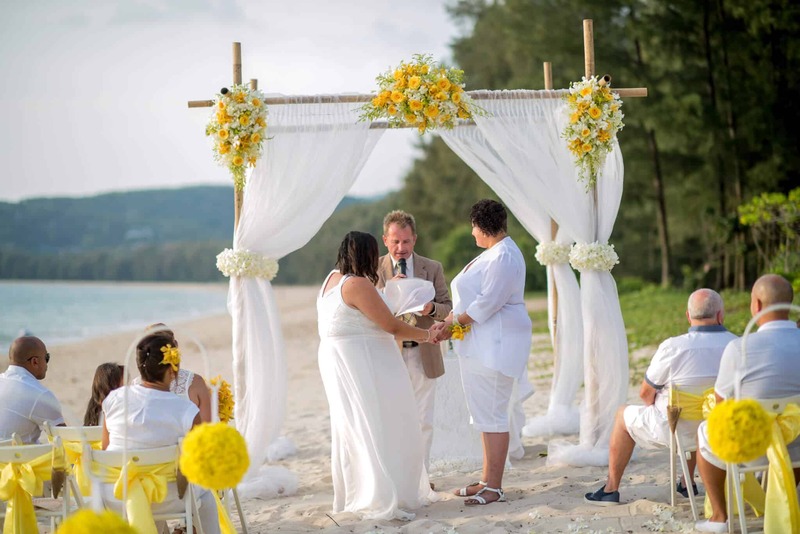 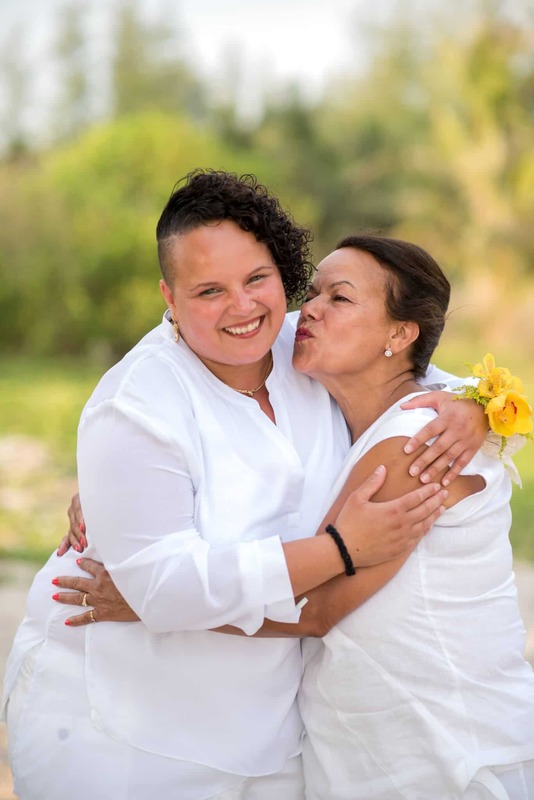 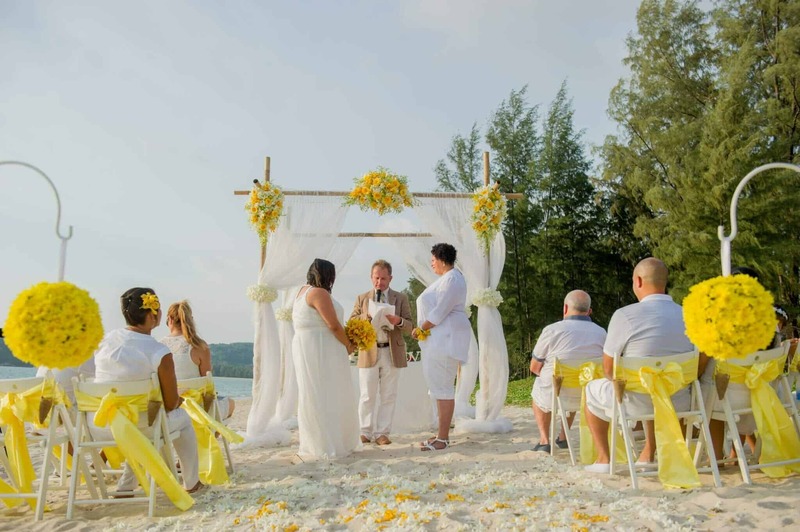 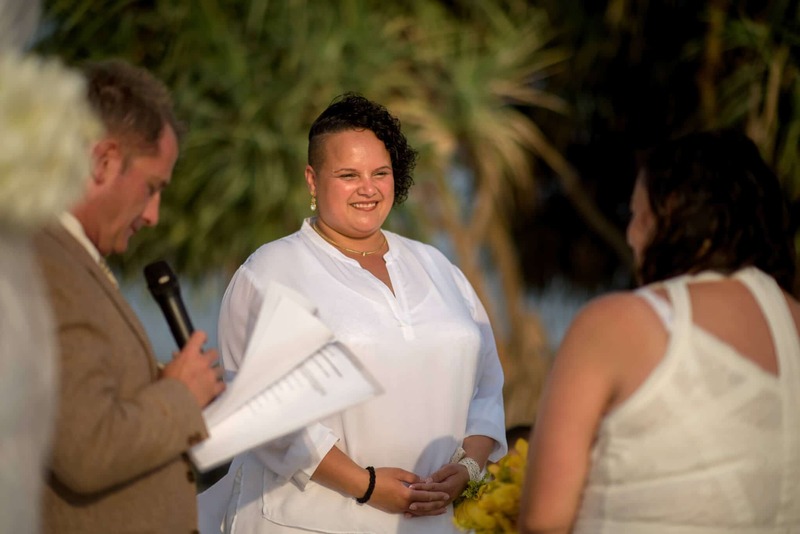 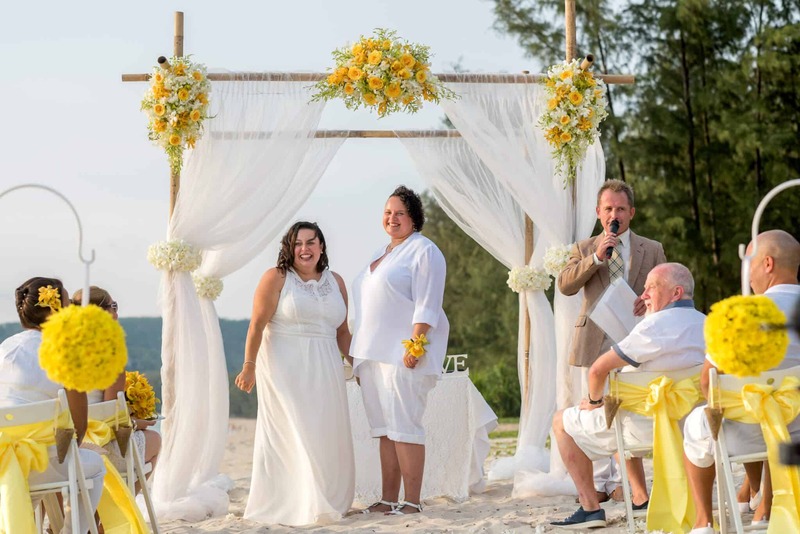 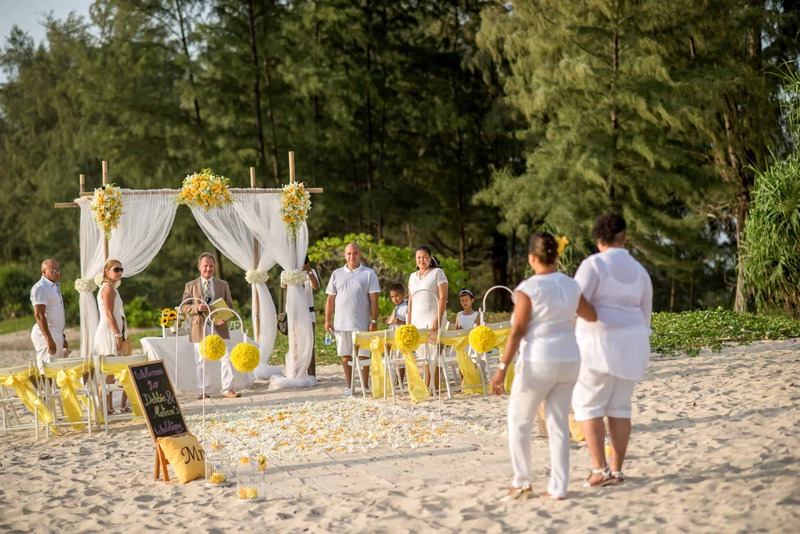 I was so pleased when Debbie & Melissa asked me to be their Phuket Beach Marriage Celebrant on Layan Beach in Thailand. 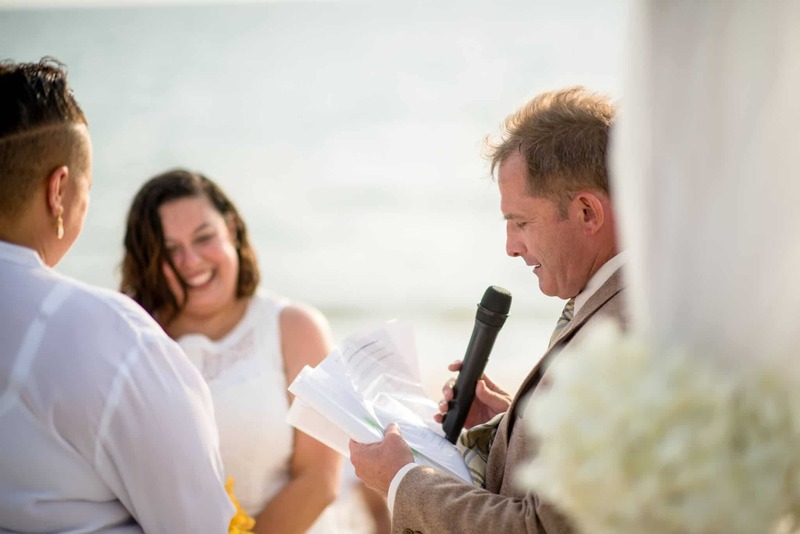 The couple were from Australia and had only contacted me a few weeks before but after a few emails, we had devised together their personalised Wedding Ceremony and Vows. 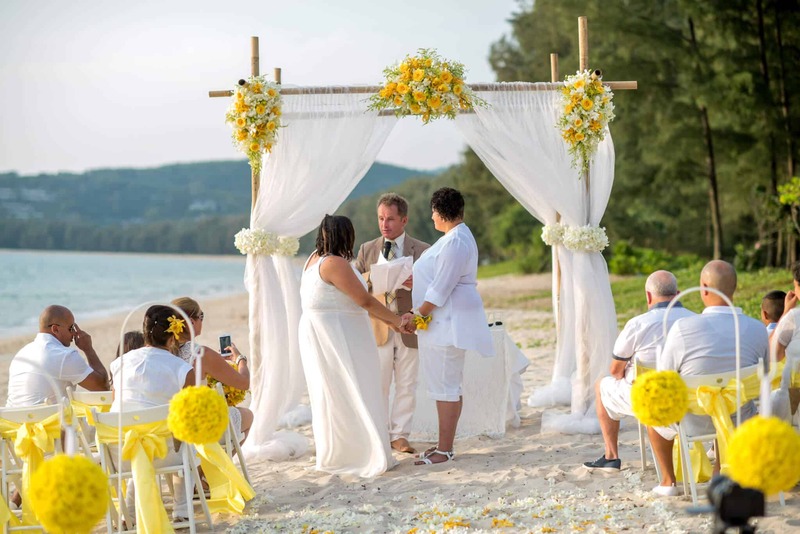 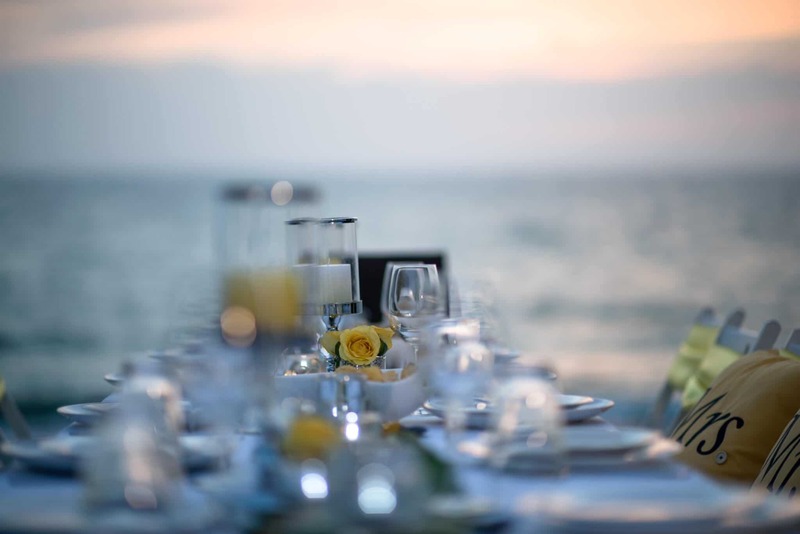 On their special day, they were surrounded by family and friends for their Wedding Ceremony and Beach Wedding Reception later on this beautiful and remote beach. 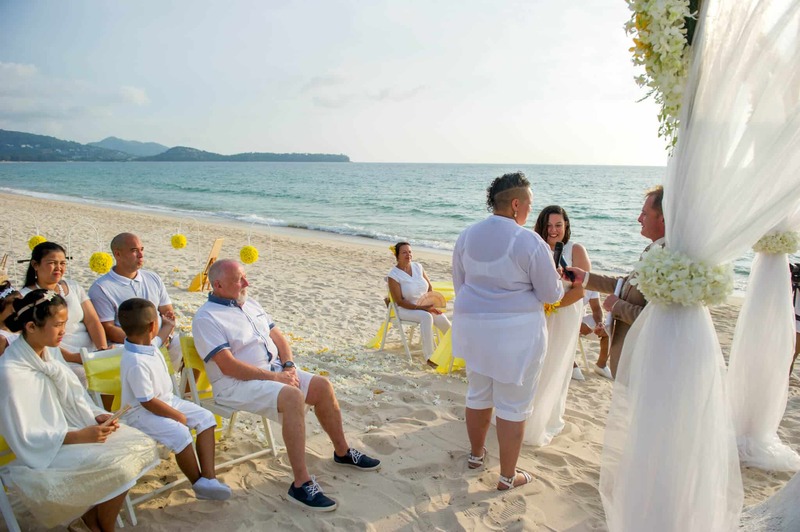 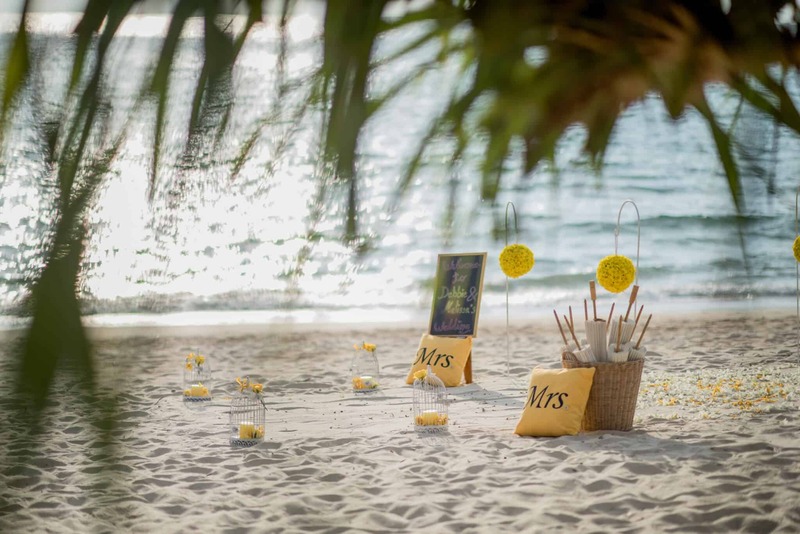 The Beach Wedding Ceremony flowers and planning was by Unique Phuket Wedding Planners and it was a very colourful and beautiful scene for Debbie & Melissa’s special day. 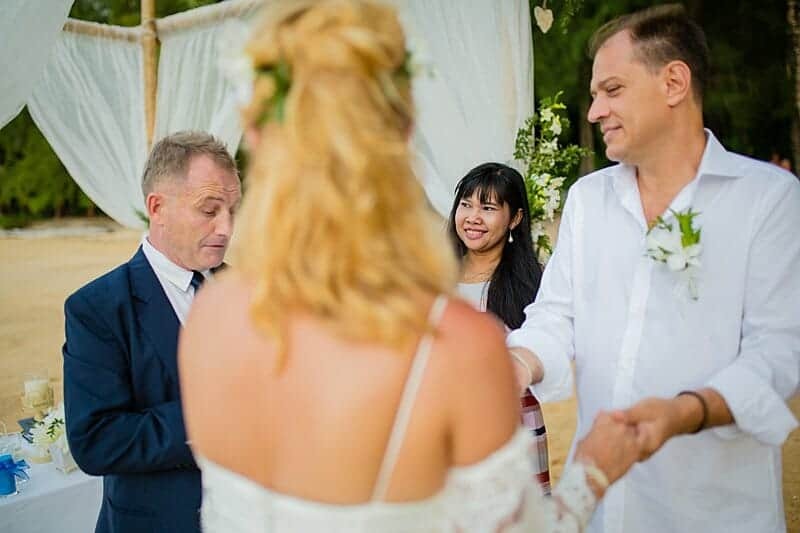 Adjacent, there was a 2nd gazebo adorned with lights that would cover their Wedding Reception table, decorated in the same theme and a dance floor next to this brought in specially for their First Dance under the starlit sky. 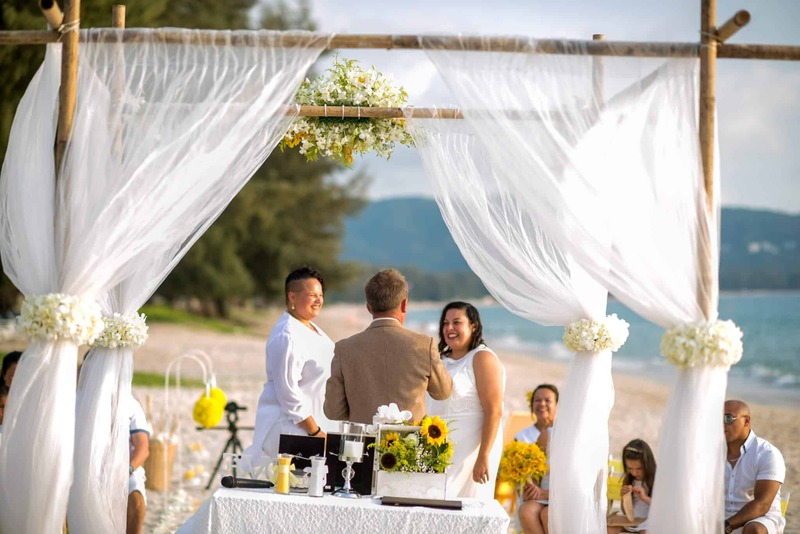 So the scene was all set with great weather and it was a beautiful and personal ceremony, sprinkled with humour and laughter. 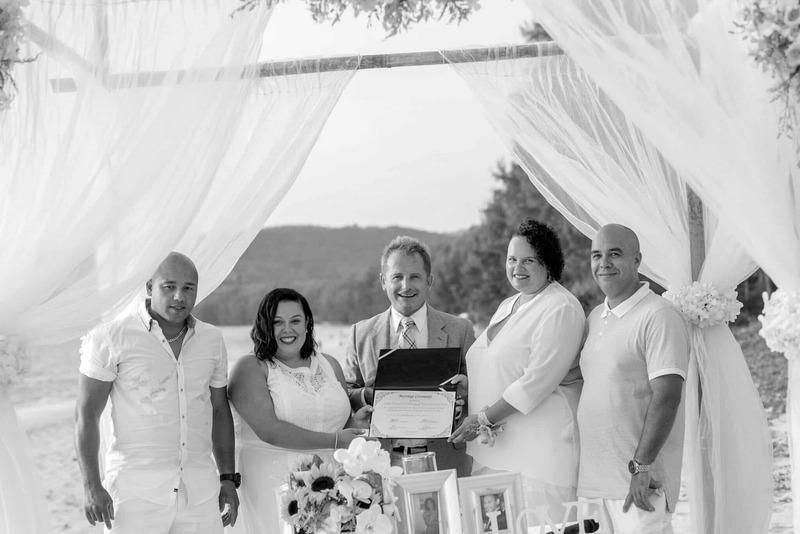 All of it captured with great pictures and a Video to come soon after their great day.